1. Newspaper cutting from September 1877 which mentions "erection of a gallery"
Although its not conclusive - I think it is possible there were indeed side galleries in the Hall which, sadly, no longer exist. Victoria Hall, Saltaire: erection of a gallery. Last evening Professor Goldwin Sith, as president of the Salt School, Shipley, for the present year, delivered his inaugural address o the occasion of the opening of the lecture session. He also presented the prizes to the successful students at the science and art classes. 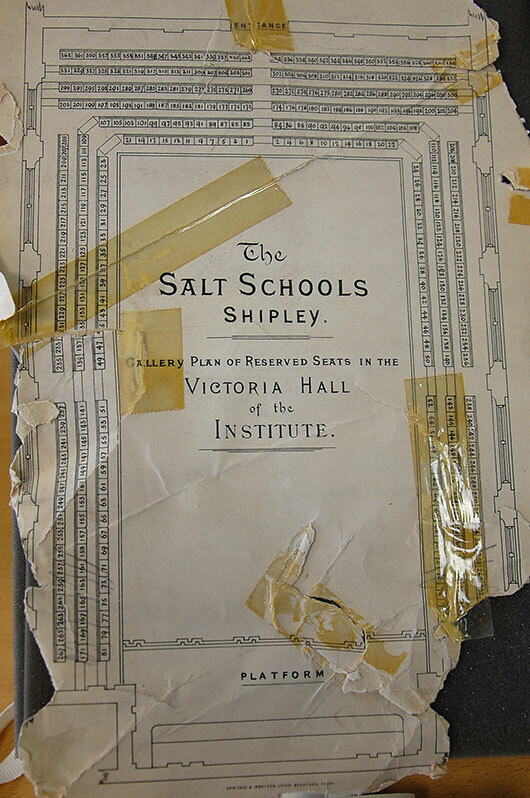 The proceedings took place in what is now called the Victoria Hall, Saltaire. 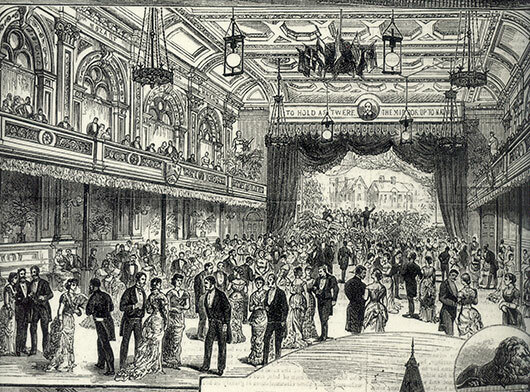 This hall has been very much improved as far as its acoustic properties are concerned, by the erection of a gallery. Formerly it was almost impossible to hear a seaker, but that serious objection is now overcome. There was a large audience to hear the inaugural address. Mr. TITUS SALT, at the opening of the proceedings, gave a short account of the new deed of foundation to what are now called the Salt Schools, and which incude what was formerly the Saltaire Club Institute. 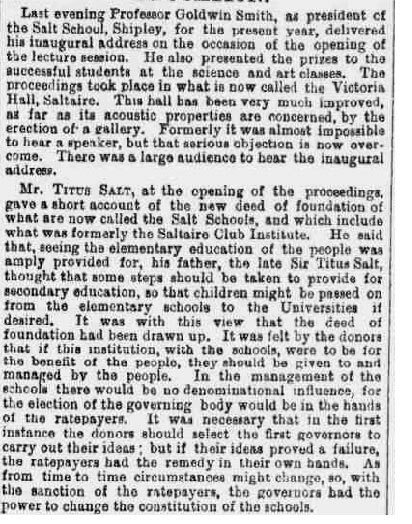 He said that, seeing the elementary eduction of the people was amply provided for, fis father, the late Sir Titus Salt, thought that some steps should be taken to provide for secondary education, so that children might be passed on from the elementary schools to the Universities if desired. It was with this view that the deed of foundation had been drawn up. It was felt by the donors that if this institution, with the schools, were to be for the benefit of the people, they should be given to and managed by the people. In the management of the schools there would be no denominational influence, for the election of the governing body would be in the hands of the ratepayers. It was necessary that in the first instance the donors should select the first governors to carry out their ideas; but if their ideas proved a failure, the ratepayers had the remedy in their own hands. 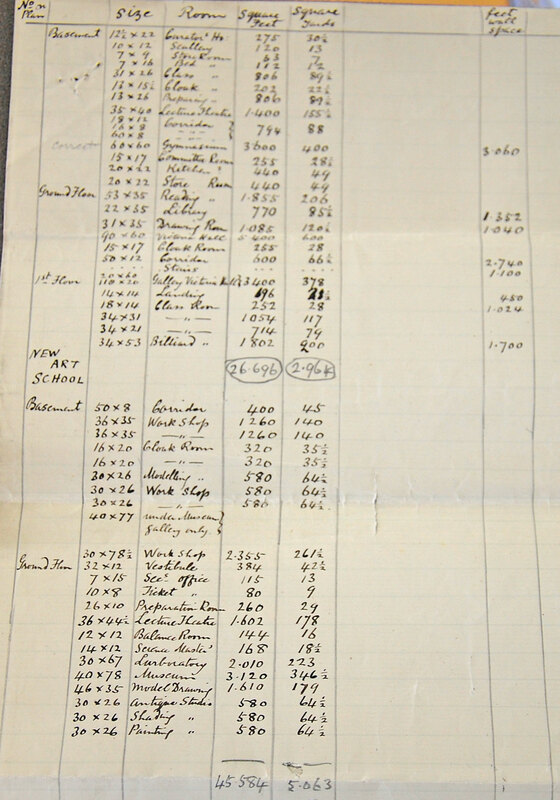 As from time to time circumstances might change, so with the sanction of the ratepayers, the governors had the power to change the constitution of the schools. Transcription from: Leeds Mercury, 28 September 1877.